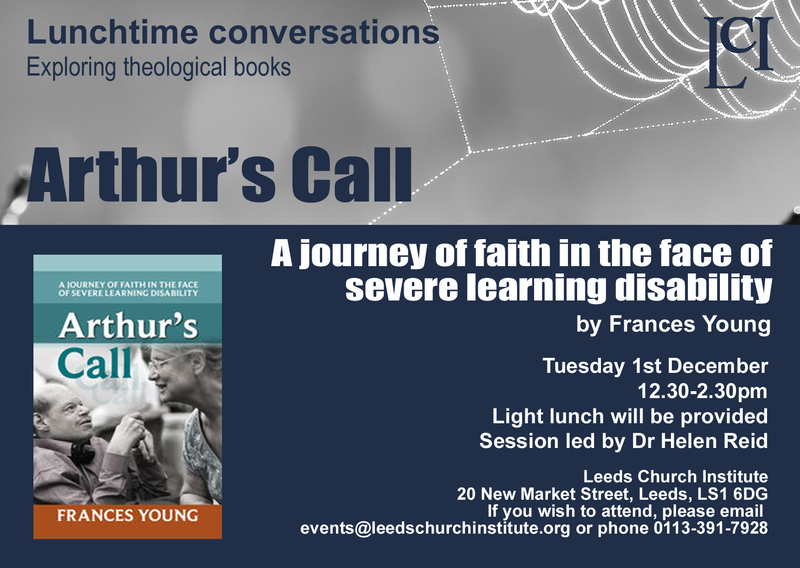 A journey of faith in the face of severe learning disability by Frances Young. Tuesday 1st December 12.30-14.30. Session led by Dr Helen Reid. A light lunch will be provided, please book (for catering purposes) email events@leedschurchinstitute.org or phone 0113 391 7928.